Anne began her career as an assistant, creative executive, and screenwriter working with filmmakers including Fred Roos, Warren Beatty, and Sophia Coppola, before going on to co-found animation and motion graphics company Transistor Studios. In 2008, she became a partner at Los Angeles-based Artifact Studios where most recently she executive produced the feature-length documentary OPERATION POPCORN, which aired in 2016 on Public Television's Emmy-award-winning series America Reframed. 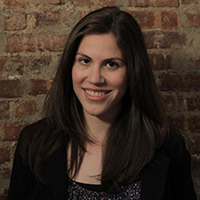 She is also Executive Producer of the interactive documentary project CRITICAL PATH, a seven-year-long-and-counting documentation of the evolution of video games. Eva is a graduate of NYU's Tisch School of the Arts. In 2000, she won Best Short at the Sundance and Cannes Film Festivals with FIVE FEET HIGH AND RISING, a short she cast, edited, and produced. She followed that up with the feature Raising Victor Vargas, which she co-wrote. Since then, she has been working on numerous projects, including Chrome and Paint, which she co-wrote with Ice Cube. She was also one of four writers in Disney’s Writers Program. Most recently, Vives wrote and directed her short film JOIN THE CLUB, which was admitted to the Sundance Film Festival in 2016, among others. She was also a finalist for the 2016 Atlanta Film Festival’s Filmmaker to Watch Award. Vives is a proud Sundance Screenwriters, Directors, and Skywalker Sound Labs fellow and is developing her feature, NINA, about a stand up comedian who has to deal with her past to move forward. She is also a proud Sundance Institute Academy Nicholl Honoree. 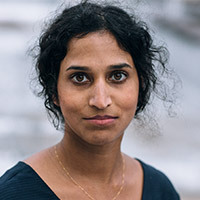 Veena Rao is a director and producer based in Brooklyn. Her films have screened at festivals worldwide, have been featured on publications such as The Atlantic, and National Geographic, and have aired on the Documentary Channel and Current TV. She is an alumna of NYU's Tisch School of the Arts and a member of Brooklyn Filmmakers Collective, Film Fatales, and the New York Women in Film & Television Documentary Committee. Being a teenager isn't easy, especially for Nayla, a Muslim American girl who wants to join her new high school's cheerleading squad. 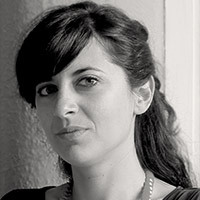 Susana Casares is a Spanish filmmaker based in Los Angeles. Before moving to the US she completed a BA in Translation and Interpreting and a BFA in Fine Arts with a special focus in Video Art and Photography. In 2012, she graduated with a Master of Fine Arts from the UCLA School of Theater, Film and Television, having received a scholarship from La Caixa Foundation. Winner of the Academy of Television Arts and Sciences prestigious College Television Award in Drama, her narrative and documentary work has been shown in festivals and art institutions around the world. Susana received both the Hollywood Foreign Press Association Award and the Mary Pickford Award for two consecutive years, as well as the support of institutions such as the Tribeca Film Institute and IDFA. She is a Berlinale Talent Campus participant, a Telluride fellow, and a Film Independent fellow. Susana was showcased in Variety’s 2013 Cannes edition as one of the 10 Spanish talents on the rise. 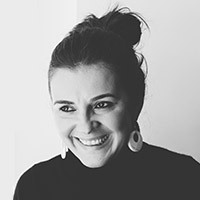 Before moving to Los Angeles, she was Head of Production at Docs Barcelona Pitching Forum and she taught Art History at Universitat Autònoma de Barcelona. 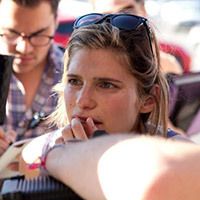 She has taught Film Production, Directing, and Documentary Filmmaking at the UCLA’s School of Theater, Film and Television, at UCLA Extension and at the NYFA in Los Angeles. Granny’s Got Game follows a group of septuagenarian women who don’t let age and ailments stop them from doing what they love—playing basketball. Their team, the “Fabulous Seventies,” is based in Raleigh, North Carolina, and competes in senior tournaments around the United States. The Fabulous Seventies have won a multitude of medals over their nineteen years together, including a national championship. Despite their competitive natures, these women know that friendship is as important as winning. Angela Alford is a first-time filmmaker and lifetime basketball player. She played for USA Basketball and for Vanderbilt University from 1994-1997. After a career as a software engineer and a motherhood sabbatical, she started her own video production company in 2007. Her love of telling personal narratives led her into documentary work. 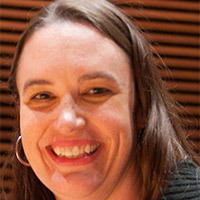 Angela graduated from Duke University's Center for Documentary Studies in 2011. GRANNY'S GOT GAME is her first film. 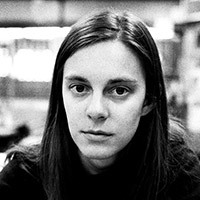 Amanda Zackem is a director, photographer, cinematographer and editor originally from Buffalo, NY. She graduated with a Master’s degree in Illustration Photography and Multimedia from the S.I. Newhouse School of Public Communications at Syracuse University. She was the Producer of the documentaries The TRIAL OF THE ST.PATRICK'S FOUR (’06) and BLIND SPOT (’08), as well as the dramatic feature length narrative, THINLY VEILES, (‘09). She recently directed and photographed a short experimental film which accompanies her photographic series, "The Black Series", and is currently working on a feature length documentary about artist and former Weezer bassist, Mikey Welsh. Zackem’s photographic work has been shown in both national and international magazines. 2011 was supposed to be Annabel’s year. So why is she here, sitting in a restaurant, being told by a fourteen-year-old that her boyfriend, Thomas, doesn’t want to see her anymore. The small messenger is Wilbur. He has agreed to break the news as payment for borrowing Thomas’s tent. But dispensing with Annabel proves a bigger challenge than Wilbur had anticipated. 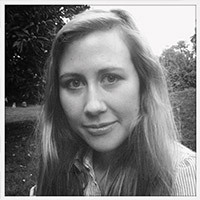 Sasha Collington graduated in 2009 from the MA in Filmmaking at the London Film School. She won a Skillset Bursary, a Postgraduate Bursary from South West Screen and a John Brabourne Award to attend the two-year MA. After graduating, Sasha was selected for the Binger Writers Lab in Amsterdam, where she spent five months developing her feature film project, ANOTHER ANNA, a romantic-comedy-magical-realism-fable about learning to like yourself. Sasha is also currently developing a feature film with the two characters from her award-winning short, LUNCH DATE. It is a romantic comedy called YOUNG MAN OF THE MOONLIGHT. How to be Alone is a vivid collaboration between filmmaker Andrea Dorfman and spoken word artist Tanya Davis that uses music, poetry and whimsical animated images to explore the state of being alone. On the surface, the film is a kind of “how-to” manual for spending time by yourself. On a deeper level, it addresses the fundamental fact that we are all alone in some way, and confronts our feelings of loneliness with humor, hope and measured reflection. 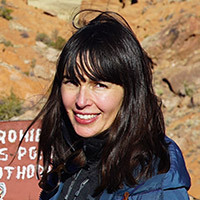 Andrea Dorfman is an artist and filmmaker. 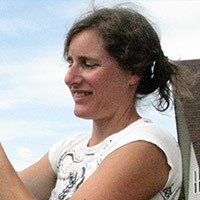 Her work includes experimental and dramatic short films, two feature films, “PARSLEY DAYS” and “LOVE THAT BOY,” as well as a documentary, “SLUTS,” released in 2005. She’s currently working in animation at the National Film Board of Canada and developing her third feature film, “HARMONY”, with screenwriter Jennifer Deyell. Andrea has also taught film and video at the Nova Scotia College of Art and Design and is one of four co-creators of “BLOWHARD,” a thematic storytelling series. Every 13-year-old girl dreams of that nice-but-hard-to-get boy, and Joppe is no different. She consults her friend on how to ask Brian out, but how can she tell him that she was born a boy? I Am a Girl! shows audiences a courageous young person unafraid to stand up for herself and to be who she truly believes she was meant to be. Documentary filmmaker, Susan Koenen, is intrigued by non-famous people who can be a role model for audiences. Her films include “LAURA & ANNE 4 EVER,” in which a remarkably strong 14-year-old girl loses her best friend to leukemia, and “THE WILD WILD WEST,” about a man who created a special lurking place for underprivileged children in a multicultural neighborhood in the west of Amsterdam. Susan’s work has screened at numerous film festivals worldwide and she has won several awards for her films. In Worst Enemy, a female misanthrope named Wooly struggles with anxiety and lactose intolerance. Wooly is your bland neighbor. She’s the young curmudgeon whose profile you want to submit to one of those makeover shows. She’s the person who apologizes to you and argues with you in the same breath. Watch Wooly navigate a week in her life where she’s her own worst enemy. She becomes emotionally and physically so wrapped up that it takes the kind eyes, healing hands and dry logic of our hero/regional medical clinic physician to extract her out of her tornado of neuroses. Nineteen-year-old Thembi records an audio diary of her struggle to live with AIDS. Jisoo was born in Korea in 1986. 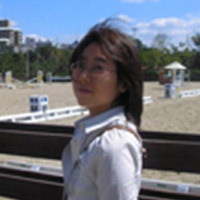 She graduated from Korean Animation High school and is currently an MFA student in California Institute of the Arts. 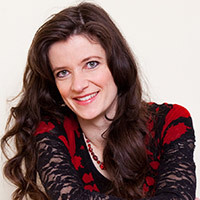 Jen McGowan, born in Washington DC and raised in Fairfax, VA, began her career as a filmmaker in 1997 when she received her BFA from NYU’s Tisch School of the Arts. There, she trained as an actor at the Atlantic Theater Company where she studied with David Mamet, William H. Macy & Sam Shepard. After graduating, Jen made the move from acting to writing and directing with her awardwinning short film She Never. During this period, Jen worked her way up the production ladder with some of New York’s top companies such as RSA/Black Dog, A Band Apart, Killer Films and Propaganda. She was fortunate to work on many independent feature films including the Oscar winning Boy's Don't Cry. In 2002 Jen gained a place to study directing in the MFA program at the University of Southern California. 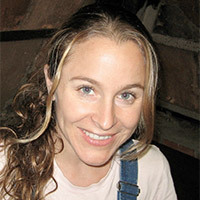 In 2004 Jen directed her first music video, Chelsea Hotel, for artist Karen Ramos, and began production on her thesis film, Confessions of a Late Bloomer. Jen was honored with a grant from The Caucus Foundation for her work on Late Bloomer as well as a scholarship from Women in Film recognizing outstanding young female filmmakers. CONFESSIONS OF A LATE BLOOMER began its festival run at the Tribeca Film Festival. The film continued on to over 60 festivals worldwide, including the Cannes Short Film Corner where it was selected for a special screening in the Palais by film critic Michel Coulombe. It earned many awards and positive critical reviews and was purchased for distribution by Shorts International. This year she co-wrote and directed the award-winning commercial COUCH THERAPY for client Viesso and has been selected as one of the few USC alumni for the upcoming program, USC First Team that fosters feature projects. Jen works in Los Angeles as a production manager on commercials, which has allowed her to work alongside and build relationships with the industry’s top cinematographers, production designers, crews and vendors. She is a regular contributor as the resident Independent Filmmaker to the website Film Industry Bloggers and an Executive Board Member of the Caucus Foundation Alumni Network. Jen is currently is prepping the short BE STILL MY BEATING HEART with HBO producer, Jeannie Koenigsberg and is co writing THE MISSING CHILDREN'S CLUB, Jen’s fifth collaboration with partner, Philip Lott. Through a chance encounter, a single woman learns that the life she lives is exactly what she wants. Courteney Cox gained overnight fame as she endeared herself to millions as the neurotic yet loveable Monica Gellar on NBC’s Emmy® Award winning comedy Friends. In 1996, Cox starred in Wes Craven's horror/comedy Scream and went on to reprise her role two additional times for the Scream Trilogy. Courteney’s additional film credits include 3000 Miles to Graceland, Mr. Destiny, Cocoon: The Return, Zoom, November, The Longest Yard and Barnyard. Cox was most recently seen in Disney’s family comedy Bedtime Stories starring opposite Adam Sandler. In 2004, Courteney and husband David Arquette established their own production company, Coquette. Projects have included Dirt, the interior design show for cable’s WE (Women’s Entertainment) Network called Mix It Up, the comedy Daisy Does America for TBS and most recently, The Tripper, a horror film written and directed by David Arquette. This fall, Cox is scheduled to reteam with Scrubs creator Bill Lawrence on the new pilot Cougar Town for ABC. In 2009, Courteney made the natural segue from producing into directing for Glamour’s Reel Moments Project. Monday Before Thanksgiving marks Cox’s directorial debut. Glamour Reel Moments is a series of three short films based on real women’s stories written by Glamour readers. The project benefits a women’s program for FilmAid International, an organization that uses the power of film to promote health, strengthen communities and enrich the lives of women around the world. In addition to her work in front, and behind the camera, Courteney is also the face of the Avon Fragrance, Spotlight. A tour of the Patina V Mannequin Factory in the City of Industry, outside of LA. Jesse Erica Epstein grew up in Boston, Massachusetts. She received an MA in documentary film from NYU. Jesse was recently named “One of 25 filmmakers to watch” by Filmmaker Magazine. Her films WET DREAMS AND FALSE IMAGES (Short Subject, Jury Award – Sundance Online Film Festival), and THE GUARANTEE (Best Short Film, Newport International Film Festival) are being distributed by New Day Films (www.newday.com).